This is one of four spots that I stopped at along the Rideau Canal to take a few late autumn pictures. The skies were overcast the day before, but on this Sunday morning, the blue skies inspired me to grab my camera and head out. 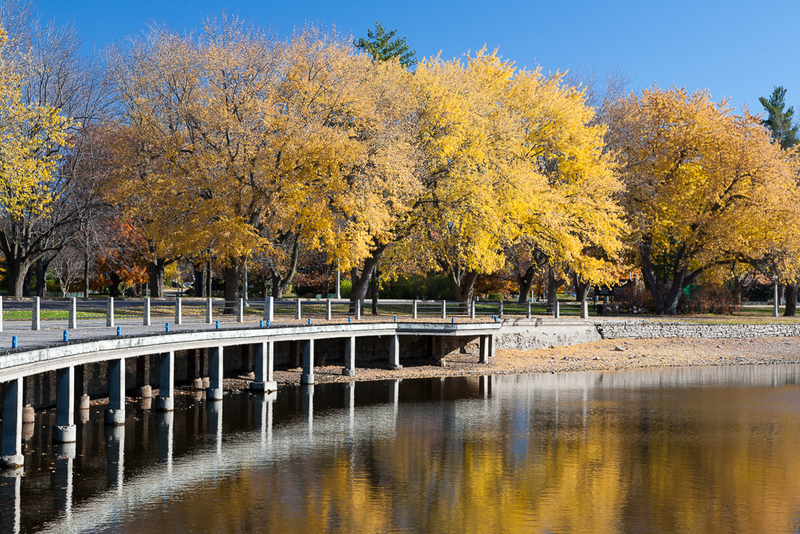 This image was taken at Dow’s Lake which is essentially part of the Rideau Canal. The water level normally meets the bottom edge of the boardwalk, but the Canal is drained every year after Canadian Thanksgiving, creating more favourable conditions for the building of the skateway, and ensuring that the locks are not damaged by the ice that comes with winter.